Wow, to say we were inspired by this video is an understatement. You simply have to watch it, it is the perfect representation of childhood beach memories, and makes me a little homesick for the coast as we sit here in Central NSW. 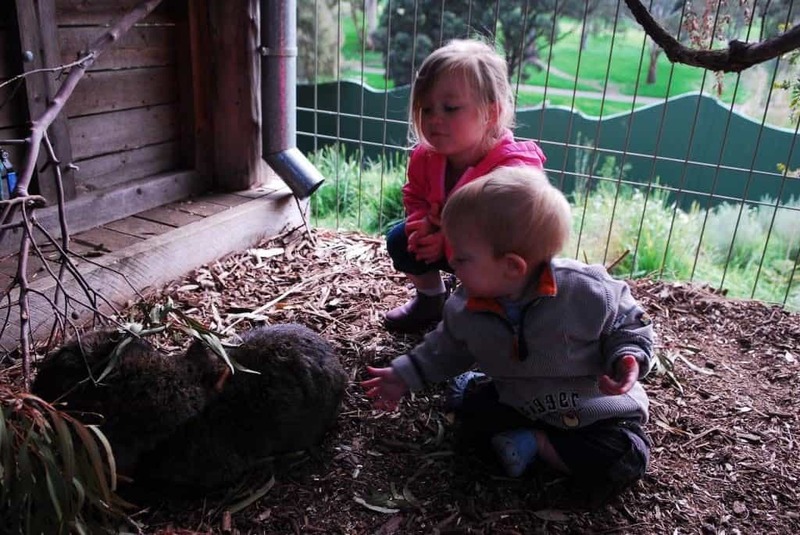 So, in celebration of such a beautiful video, hopefully you’re as inspired as we are, we’ve tracked down some things to do in South Australia with kids. 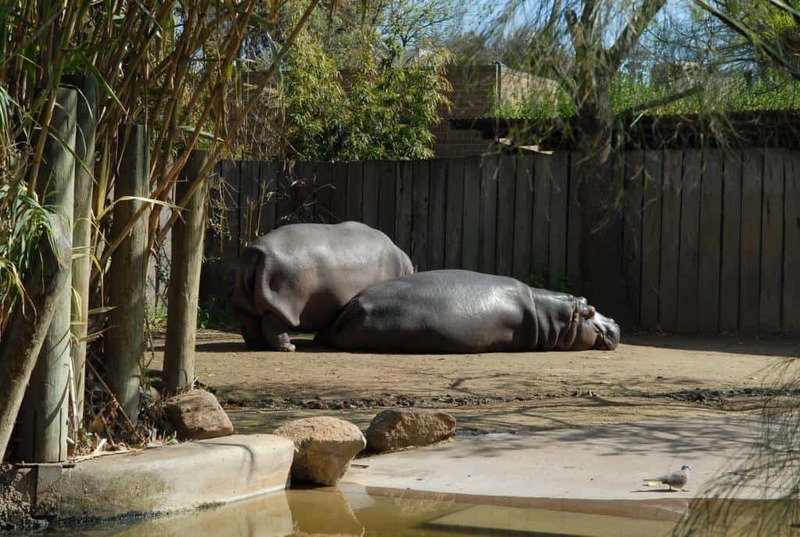 This amazing zoo is open from 9:30 to 5:00 every day of the year, including Christmas, so whenever you are in Adelaide it will be open for you to visit. There’s a magnificent range of animals on display, definitely something for every member of the family. From lions and tigers, hippos, flamingo which are a stunning pink colour, one of my favourites, the meerkats, and lots of birdlife, reptiles, Australian native animals and even Sea Lions. 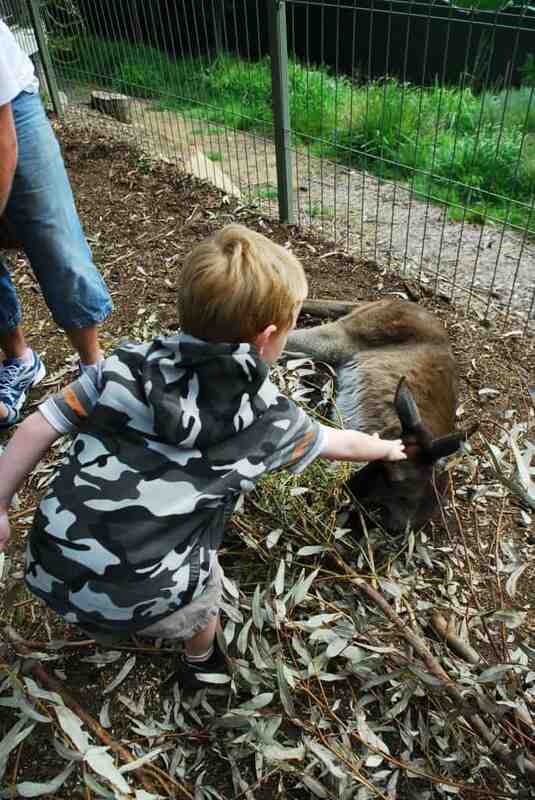 ­The funniest thing happened to us at the zoo, it was something I didn’t even remember until I looked back at the photos to write this piece, (as you can see by the photos the kids are much younger), but I giggled when I saw the picture below. 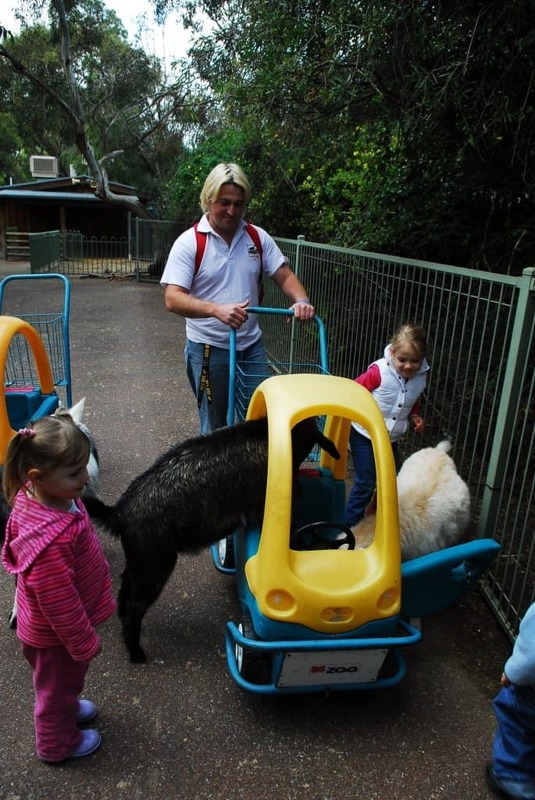 We had been walking through the animal petting zoo when a goat hopped into the buggy that we’d hired to push the kids around in for the day. Cheeky thing it was! The cheeky thing managed to get all the way inside the buggy and was difficult to get out, it got a big giggle from the kids too. To get to the zoo, we’d recommend public transport, most of the parking in the area is via parking meter and this can add up if you plan on spending all day there. There’s a range of animal encounters that you can do, but you’ll need to check age limits as young children may not be able to do many of the encounters due to safety, also, book these before arrival if you’re wanting to participate. Visit http://www.zoossa.com.au/adelaide-zoo to find out more. This amazing museum boasts the largest collection of Australian Indigenous cultural objects in the world, along with meteorites, fossils, dinosaurs, and a giant squid model that fills an entire elevator shaft! There are plenty of artefacts inside the museum that have wonderful historical stories to accompany them, and there is also a Science Centre nearby. Visit http://www.samuseum.sa.gov.au to find out more. Let your kids escape in a whirlwind of pirate adventures as they walk the gangplank. This attraction offers plenty of interaction for children which is important when looking for family things to do. It consists of three levels that unfold into an exciting range of exhibits worth taking the time to explore and discover, so give yourself plenty of time to enjoy. There’s a lighthouse nearby and entry is included in the cost of your ticket, so let the kids enjoy the spiral lighthouse staircase for added fun. Visit http://www.history.sa.gov.au to find out more. If you’re looking for a unique tucked away in South Australia for families, the Coober Pedy offers something you’ll never forget. We’ve written before about the Old Timers Mine and recommend this to everyone. There’s also Tom’s Working Opal Mine where you can find out about modern day mining and a range of other adventures and tours within the town, such as Josephine’s Gallery and Kangaroo Orphanage. Find out more information at Coober Pedy Tourism Attractions website. 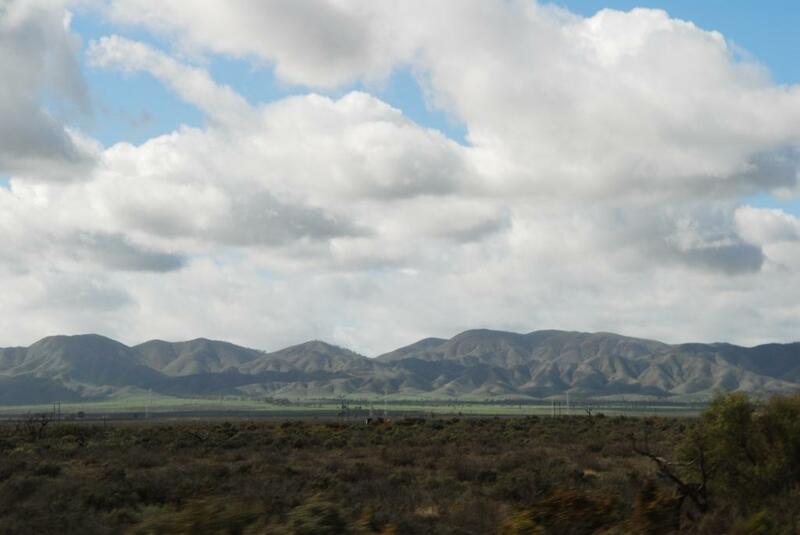 The beauty of South Australia is it’s spectacular mountain ranges, stunning beaches, and the harsh beauty shining radiantly from the heart of the desert. 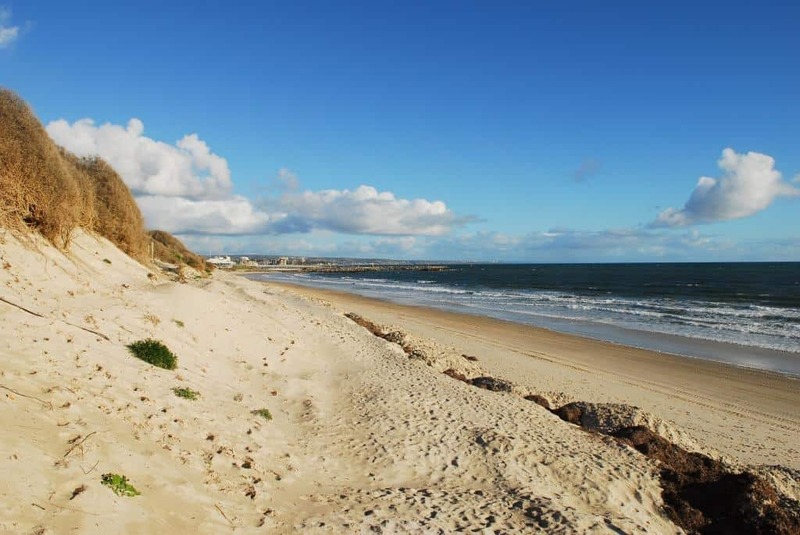 If you’re looking for coastal relaxation, bush adventures, or desert trails, then South Australia has everything your family could dream of and more. I can’t write something about SA without mentioning a family holiday to Kangaroo Island, it should be top of every nature loving family’s to do list. Have you visited South Australia? What is your favourite thing to do there?